We offer several different payment methods currently. 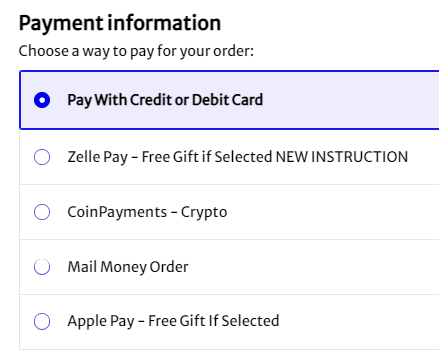 You select your payment method when going through the checkout process. Availiable payment methods may change. 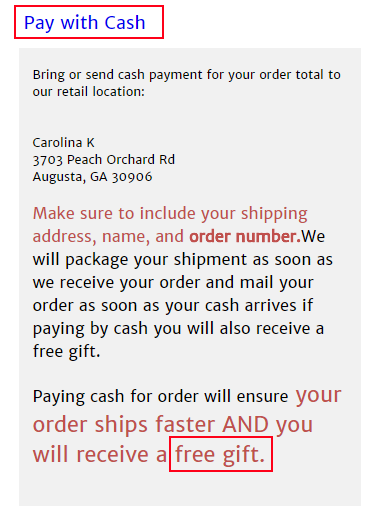 All of these payment methods have detailed instructions and explinations on our website and you will see the options and descriptions when you check out.